Initiated by Portuguese and Spanish empires, modern colonization began in the 15th century and the East India Company came to India in the 17th century. When imperialism and colonization was spreading around the world, Prithivi Narayan Shah began his unification campaign in 1743 sensing existential threat on small states. He conquered 22 and 24 principalities and emerged as a savior of these states as their existence seemed impossible without being unified. Though he belonged to Gorkha, he declared new unified country as Nepal and stated Nepal as a common garden of four castes and 36 sub-castes. 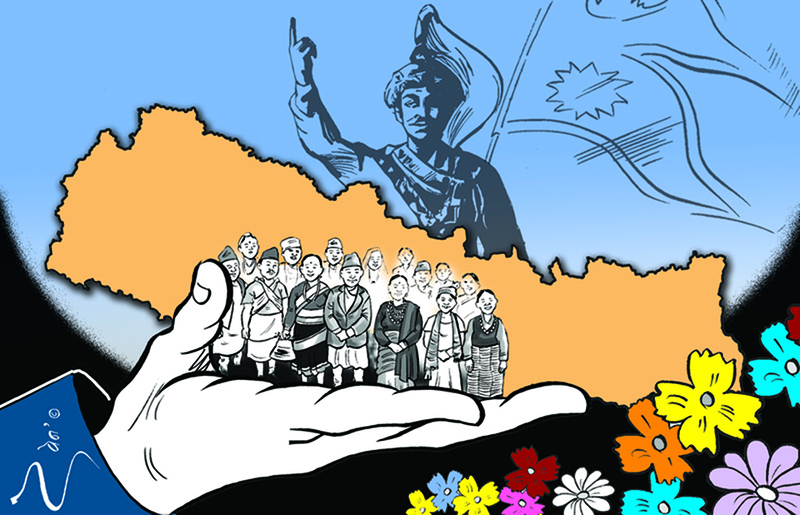 Though the empires fell Prithivi Narayan Shah’s unification has worked till day and united all Nepalis. If his successors had put Nepal first during their rules, the country could have been a different place today. Junga Bahadur Rana went for a visit to Britain and France in 1850, the time when science and technology was rapidly developing and industrial revolution had already taken place in Europe. He could have imported those techniques to Nepal when he returned. He did not. One major gain of his Europe visit is introduction of Muluki Ain (1853)—the first codified law of Nepal. Jung seems to have followed Kautilya’s ‘seven organs theory’ which dictates that friendship should be established with powerful state so as to avert threat from such state. He established the best relation with East India Company and helped it in every way possible including by providing military assistance to quell Sepoy Mutiny of 1857. 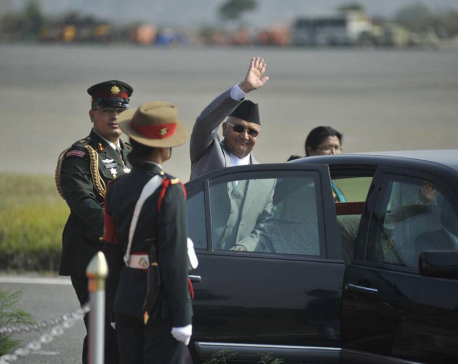 In return he restored some of the lost territories—Banke, Bardiya, Kailali and Kanchanpur—to Nepal. After India got independence in 1947 and China came under communist rule in 1949, these two countries had started their journey of rapid development and prosperity. In Nepal, King Mahendra also initiated the development process. He established Bansbari Leather Shoes Factory, Janakpur Cigarette Factory and numerous others in Biratnagar, Hetauda, Patan and Balaju were established. Hydro power projects at Trishuli and Panuati, east-west highway, Tribhuvan University, Janak Education Material Centre, National Planning Commission, Nepal Rastriya Bank, National Commercial Bank (Rastriya Banijya Bank), Agriculture Development Bank, Life Insurance Corporation, National Sports Council, Dasrath Stadium and many other infrastructural works are credited to him. If his successors had continued with this development trend, Nepal would have become much more developed today. Mahendra initiated a number of social and legal reforms. He amended Civil Code (1963) and enacted Land Reform Act (1964) with provisions to uplift the weaker section of society. Before 1961, foreigners could freely purchase land in Nepal. After 1961, King Mahendra prohibited foreigners from buying Nepal’s land. Before 1960, Indian currency was in widespread use. He made use of Nepali currency mandatory. He removed Indian military missions and Indian check-posts from Nepal. Prithivi Narayan Shah founded modern Nepal. King Mahendra consolidated its independence. In Prince Machiavelli says a prince must possess the qualities of both a lion and a fox. King Gyanendra displayed none of these qualities. He started crackdown over media and political parties, declared the state of emergency and assumed absolute power after sacking the then Prime Minister Deuba. The unpopular prince (Paras), who had been accused of numerous atrocities and was arrested with drugs by Thai police on October 8, 2014, would be a disastrous heir to King Gyanendra. Monarchy had to fall. India, China and Nepal embarked on development journey almost at the same time. Nepal lags far behind while India and China have achieved big success. We would also be able to catch the momentum if development campaigns were not compromised for political interest. People are still nostalgic about King Mahendra’s times. Rise of new system does not justify irrelevance of the old system if the new system cannot do more than or even as much as the old system. We have already entered into federal democratic republican system of governance and numerous civil, political, economic, social and cultural rights have been ensured by the constitution. None of these rights will make sense unless we achieve a degree of development. The government of the day should draw the lessons from the past, continue the best practices and avoid the bad ones. We cannot afford to run in this endless cycle of failure, change and failure again.